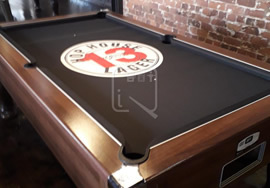 After seeing our extensive portfolio of custom made cloths, a London based client entrusted us with a major branding exercise in a Northern pool venue. 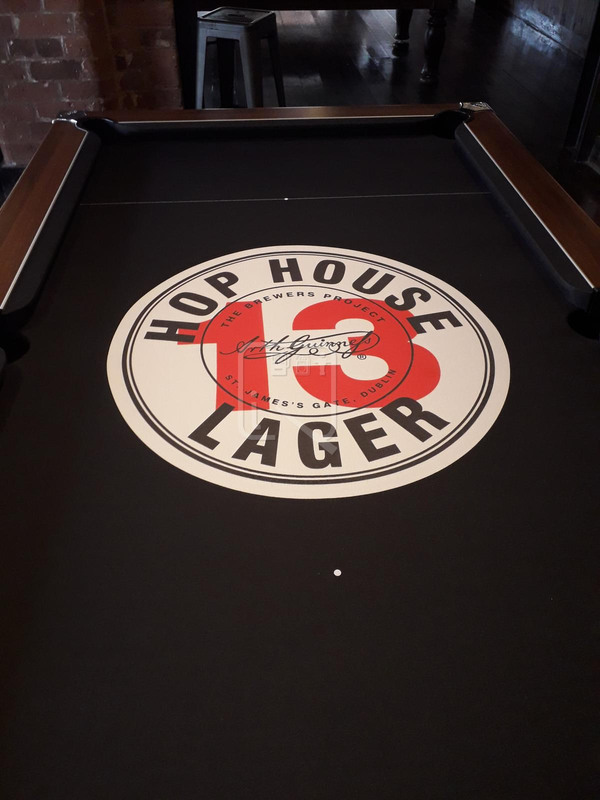 Our clients wanted to have two 7ft league tables fitted with Guinness brand Hop Hoose 13 logo, they chose the final design from 2 sample designs ; both closely matched the Pantone branded colours. 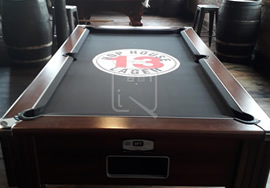 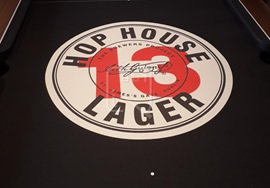 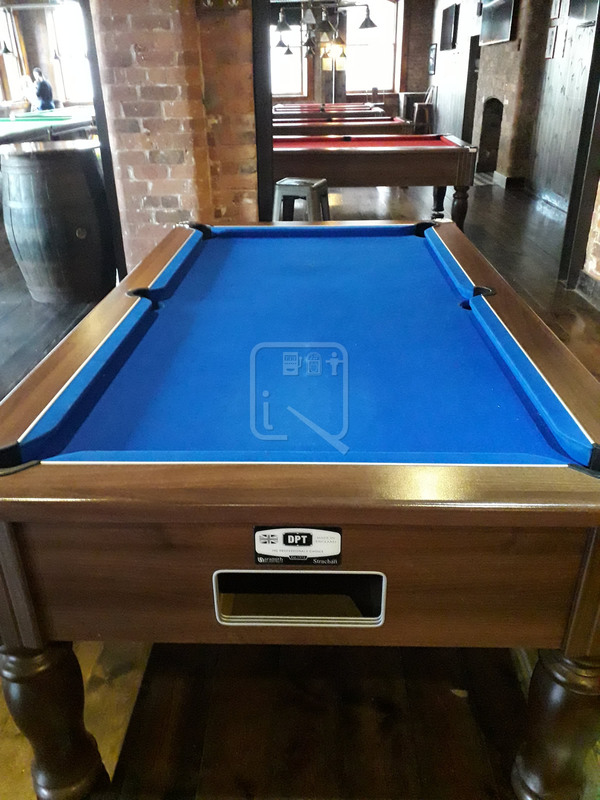 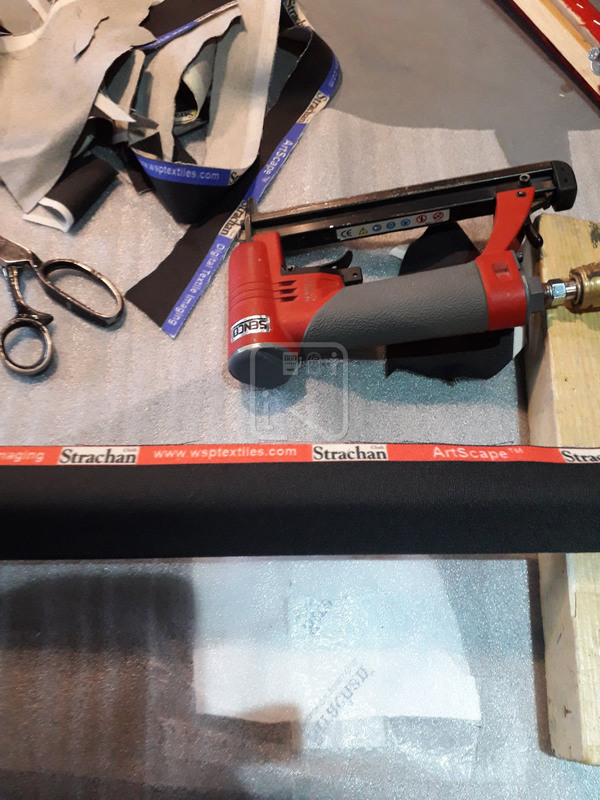 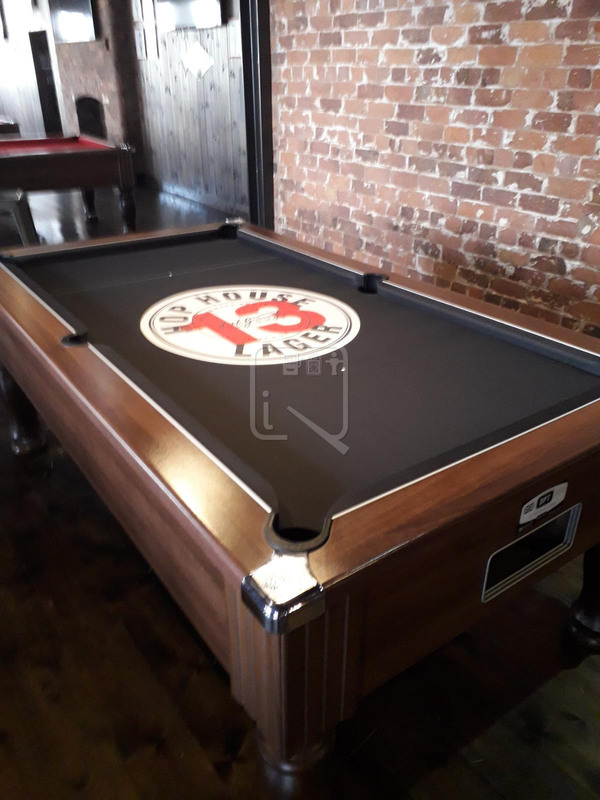 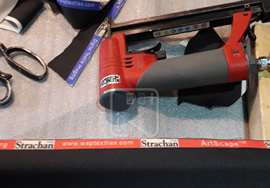 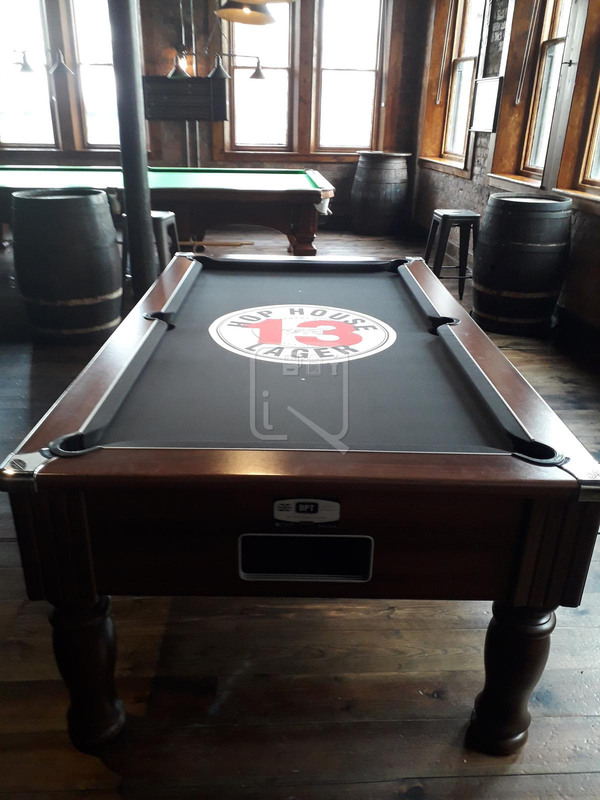 Printing was on Strachan Superpro nylon cloth and the two tables are now promoting the Hop House 13 brand whilst still giving superb game play as the design is in the cloth not on it. 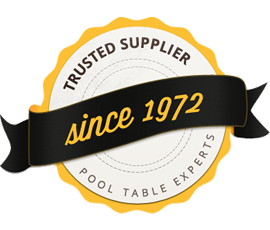 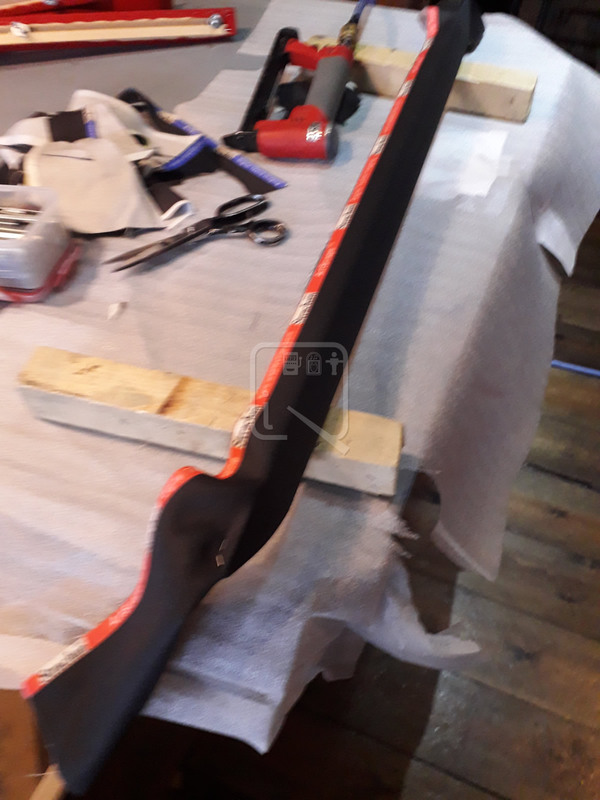 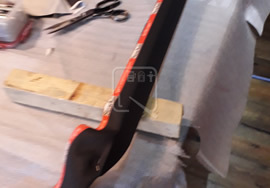 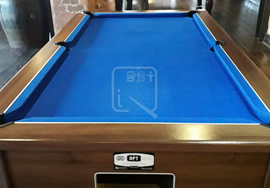 Buy Supreme Pool Tables online from IQ Pool Tables.